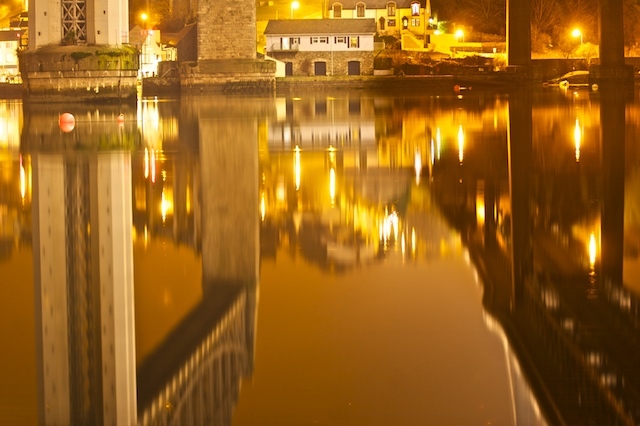 Plymothian Transit: Reflections on Brunel's Bridge. ©Lantographer (Flickr) Still Waters Run Deep. "Just a busy shot to show how good the water reflections were last night. Adjusted and cropped in Aperture 2.0"
We are coming up to the 150th anniversary of IKB’s wonderful bridge across the Tamar. Over the coming months I hope to bring a selection of some of the fantastic photos that have been taken of this beautiful monument to British engineering. This great shot by Lantographer is one of the more unusual shots I have seen but it is just stunning. I also hope to revive the ‘Plymothian Bridges’ series later this year as I have neglected this area for too long.